We parents love to shower our children with gifts. The appearance of a wrapped presents can stop even the most rambunctious children in their tracks. After a quick intake of breath, eyes go wide and squeals of excitement quickly follow. Some children then engage in frenzied activity, tearing off the wrapping paper, while others slowly and methodically remove every piece of tape, savoring the splendor of anticipation. When the contents beneath the wrapping paper are revealed, delight and happiness soon follow. And then come the thanks. Nothing quite compares to the hug of a kid who just received an unexpected gift. All of it – a kiss, words of thanks, that smile from ear to ear – can melt even the most hard hearted of us. The giving of a gift testifies to the love we feel for someone. A present can convey materially that which we sometimes have difficulty expressing verbally. That I value you. That I love you. That making you happy makes me happy. In most American Jewish homes, presents are shared on Chanukah, a practice that evolved from the tradition of giving gelt (coins) and from this holiday’s proximity to Christmas. In Jewish homes in Israel and elsewhere, presents are given on Rosh Hashana to celebrate the New Year, and on Pesach to celebrate our people’s return to freedom. Perhaps the most traditional, yet under-celebrated, opportunity for gift giving occurs on Shavuot. Originally an agricultural festival marking the conclusion of the grain harvest, Shavuot is also known as Chag ha-Katsir (Festival of Reaping in Exodus 23:16) and was celebrated in Biblical times by bringing the bikkurim (first fruits) to the Temple in Jerusalem. These gifts to God were brought from among the Seven Species for which the Land of Israel is praised: wheat, barley, grapes, figs, pomegranates, olives, and dates (Deut. 8:8). Over time, Shavuot morphed through rabbinic creativity into a festival celebrating the ultimate gift from God. Wrapped up in the multi-sensory story of our people’s experience at Mt Sinai (Exodus 18:18ff) – ground-shaking, light-flashing, thunder-booming, Shavuot relives Matan Torah (the gift of Torah), the moment that God gave Torah to the Jewish people. We teach that Holy One loves our people so much that God gave us the most precious gift – next to our children, of course – and that is the Torah. Anticipating Shavuot, parents can connect children spiritually to our Jewish people through the joy of receiving a gift. Read the story of the giving of Torah in Exodus 18:1-19:15. Flash the lights in the bedroom to simulate lighting, bang on walls or pots and pans to recall the thunder. Shake your body all over for earth shaking fun. You are the recipient of one of the greatest gifts ever. It is our Torah. 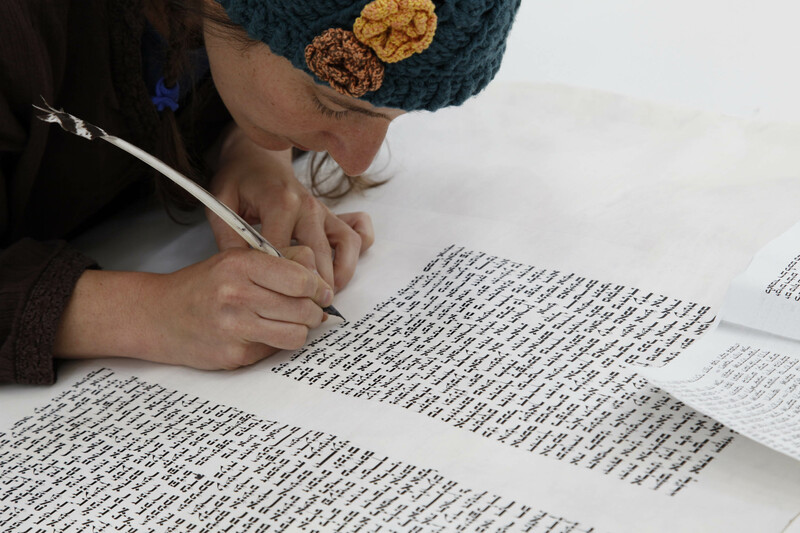 Written in a scroll, our Torah represents a collection of stories, teachings, morals, values, rules of how to live, ideas about God and so much more. It is a gift from God, a sign that you are lovable and loved. Torah is your inheritance, that which you receive from me (and if appropriate, from your other parent), from your grandparents and others before us. You are part of shalshelet hakabbalah (the unbroken chain of receiving Torah), passed down midor lador (from generation to generation). Torah is a gift to be preciously cared for and repeatedly unwrapped. Torah is filled with stories and ideas that are gifts to the whole world. Torah is yours. So don’t wait to long. Claim you place among our people. Then find a way to help your child receive the gift of Torah. Give your child a nice gift that reflects Torah and/or Judaism. Tell him or her that since today we celebrate the other wonderful gift today, the gift of Torah, today you want him or her to enjoy this Torah related gift. Discover a new book and read it together. Torah, and the study of it, made the Jewish people Am Hasefer (people of the book). Dedicate yourselves to reading the wonderful books from PJ Library or seek out other Jewish books to enhance Jewish connections. Watch the Torah portion cartoons on G-dcast.com, which take complex ideas and make them accessible to all ages. Commit to watching them regularly. Eat cheesecake. Once Torah was given, it became clear that our ancestors had no kosher meat. So the people ate dairy for a few days. Traditionally Jews ate blintzes. But, in our family, we prefer cheesecake, in as many flavored as possible, symbolizing the 70 difference languages in which Torah was given. Make a dairy dinner together creating as many dishes as you can. Consider the many ways grilled cheese and macaroni and cheese can be prepared. Go visit a temple and ask if you and your family can hold the Torah. A gift given not just to the rabbis and teachers, Torah is an inheritance for us all. So go claim your birthright (you may need to schedule an appointment first).